At VitaPhysical our Osteopaths and Chiropractors understand that the aim of most golfers is to consistently improve their golf game. To do this, golfers will spend countless hours at the driving range – don’t be frustrated by a round filled with poor hits, fatigue and pain. The most important training aid has often been ignored; A Healthy, Physically Fit Body! Your body functions best when its spine is properly aligned with normal muscle tension and free of injury. Poor technique involving too much twisting in the spine. Inadequate stretching leading to a lack of flexibility. These problems are easily remedied with improvements in the swing, specific treatment and gentle exercises. It is important to note that an injury may occur that does not result in immediate pain, but causes compensation elsewhere in the body, significantly affecting your golf game. How often can I play golf if I do suffer from a bad back? 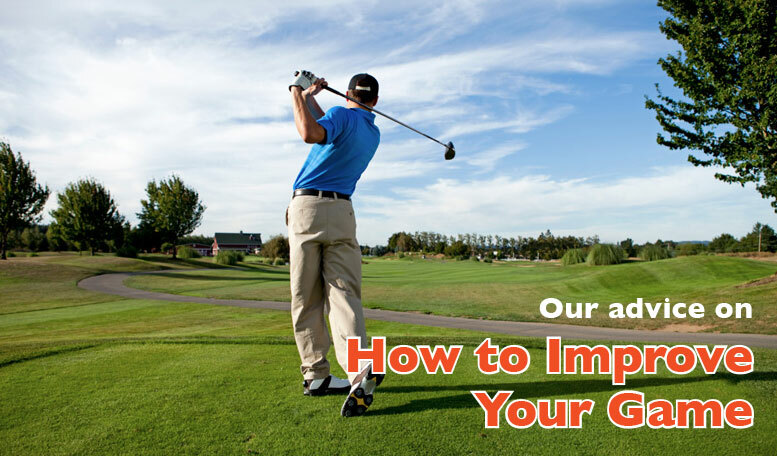 You can play golf daily if you thoroughly warm up before each game, stretch before, during and after, and follow the treatment schedule from your practitioner to ensure your spine stays healthy. Golf is about core strength, movement from the centre of the body and flexibility. A small improvement in a golfer’s spinal flexibility, for example, can significantly increase ‘club head speed’ (see table below) and be the difference between a drive from the tee landing in the rough or onto the green. Golf is a whole-body sport in for which a balanced spine and pelvis are essential. Our practitioners work with golfers to improve spinal flexibility and core abdominal strength. The shoulders and arms need to be stable to control shots, yet strong and elastic to deliver power. Top golfers nowadays work on their Spinal flexibility and Fitness as much as their putting. If you would like to elevate your playing ability to higher performance levels and improve your handicap, please call us or ask your practitioner for further details on our Golf Conditioning program. You will be given a complete Neuromusculoskeletal Examination. You will be checked for areas of increased or decreased Spinal mobility. We check for evidence of prior injuries and degenerative changes. Your golf swing will be evaluated from a biomechanical viewpoint. Finally, we will determine your goals and design a comprehensive program to achieve them, incorporating Osteopathy/Chiropractic, Massage therapy, strategic stretches and exercises, to help you maximise your golfing potential. Carrying a golf bag can place a strain on your neck. Take advantage of the latest golf accessories such as lighter bags and dual harness straps over the shoulders, specially designed to help to distribute weight evenly. If you prefer to ride in a cart, alternate riding and walking. Every other hole-bouncing around in a cart can also be hard on the spine. Make the most of your swing; warm up on the driving range. When picking up golf bags, bend carefully from the knees. Trolleys are not the best way to caddy clubs as this builds unnecessary pressure from pulling and bending in the wrong positions. A power or electric caddy is the safest way to go around. Wear proper golf shoes for stability and to help avoid twisting the back and hips. Avoid metal spikes. They tear up greens and can increase stress on the back. Soft shoes or soft spikes allow for greater motion. Purchase equipment that fits. Don’t try to adapt your swing to the wrong clubs: using the wrong size is begging for back trouble. For the women in golf: Men’s golf clubs may be difficult for women to use. The clubs are often too long, and the shaft may not be flexible enough for a woman’s grip. Women often play better with clubs composed of lighter, more flexible material, such as graphite. For senior golfers: If you show some signs of arthritis in the hands, consider a larger, more specialised grip for added safety and performance. Pull, don’t carry, your golf bag. Carrying a heavy bag can cause the spine to shrink, leading to spinal disc problems and nerve irritation. Keep your entire body involved. Every third hole, take a few practice swings with the opposite hand to keep your muscles balanced and ‘even out’ stress on the back. Drink lots of water. Dehydration causes early fatigue, leading you to compensate by adjusting your swing, thus increasing the risk of injury. Prevention is better than cure. Have regular ‘Body MOT’s’ to ensure back pain doesn’t affect your golf game. And if you want that competitive advantage why not take our golf conditioning program designed specifically to address any weaknesses in your spinal flexibility and strength. 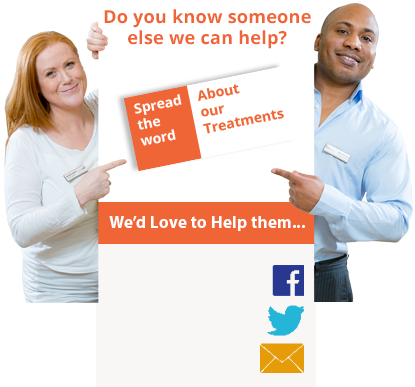 to add – For more information and guidance don’t hesitate to call us on 0191 565 8886. The information provided is for general guidance only and must not be used for diagnosis or treatment of a health problem. This information is not intended to be a substitute for professional medical advice.